Food that has the ingredients that affects the body negatively or the food that does not improve one's body health are termed as Junk Food. Junk food lack nutrition and tend to have harmful ingredients. Artificial flavours added to improve the taste and appearance of the food can also be come under the category of junk food. Junk Food range from street food to chilled sodas to artificial flavoured food to cookies to chips. Resisting ourselves from these food is challenge, isn't? These food items are not only contains bad fat but also are high in sugar and salt content. Before moving to the harmful effects of junk food on our body, let me write down the junk food list. 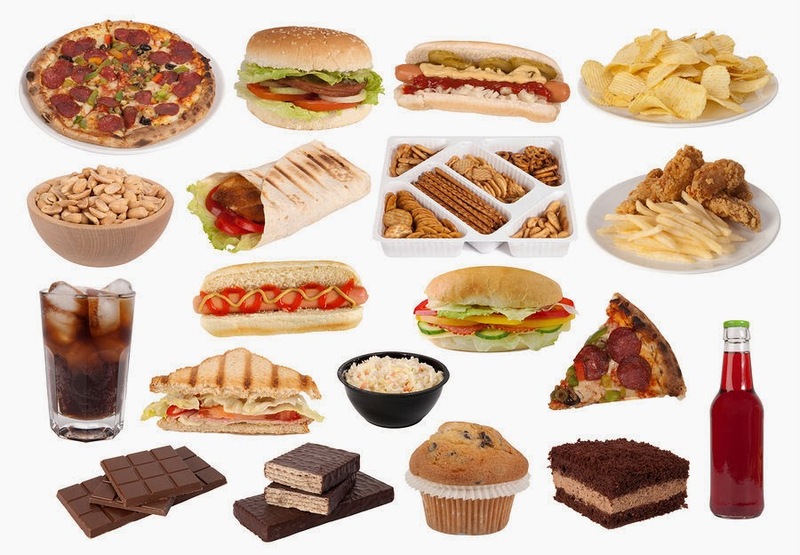 There are numerous ill-effects of Junk Food due to high content of sugar and salt apart from bad fats. Though we all are aware of ill-effect of Junk Food on our health but we hardly can resist ourselves with regards to Junk Food. Beware!! Check out the below list and try to control for your well-being. Obesity is one of the major drawback of junk food. Junk food lack any nutritional value and is high is harmful ingredients which results in more calories and thereby results in obesity. Especially, consuming junk food on the regular basis will result in faster reaching the level of obesity. 2) Lack of Energy and mood swings is also the major concern for the people who eat junk food regularly. Because of high in sugar, the junk food interfere in the digestive system and thus result in lack of energy. Also due to lack of nutritional content, there is lack of energy left for the person to do the chores of daily life. This further results in mood swings and irritable nature apart from pale looking skin and tired looking body. 3) Chronic Illness is another result of the high intake of junk food. Diabetes, stroke, high blood pressure, heart disease, lever and cholesterol problems are few to name. In order to prevent yourself from these chronic diseases you need to take care on intake of food items. Controlling on junk food items is one of the key factor in preventing from these life threatening diseases. 4) Weight Gain. Well this is what is sure shot result of eating junk food. Increase in weight is directly proportionate with intake of food items. 5) Type 2 Diabetes: This happens due to consumption of soft drinks. Soft drinks are rich in harmful sugar content which rises blood sugar levels rapidly. If body does not respond well in sugar usage it causes diabetes. Now that we all know that Junk Food are harmful for our health, we should take extra care to control our cravings towards these bad food items and start Healthy Daily Routine by adopting top healthy food items.